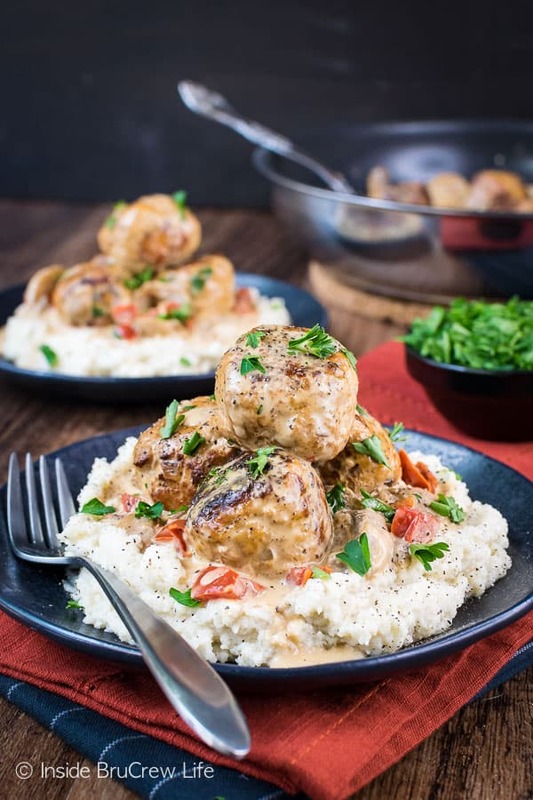 These Low Carb Chicken Stroganoff Meatballs are cooked in a creamy mushroom sauce and served over mashed cauliflower. 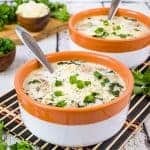 This comfort food meal is packed with protein and veggies and is a healthy dinner that the whole family will enjoy. Can I admit something? I’m actually starting to enjoy creating and photographing healthy recipes. I know, I know. Who am I and what have I done with the crazy dessert lady? It’s ok, I’m still here. You can learn to eat healthy and enjoy it, but you never truly lose your sweet tooth. I still battle the desire to eat sweets each and every day. Some days I give in and enjoy a few bites of whatever dessert I am currently developing. I’m looking at you Cinnamon Roll Pumpkin Cake! But what has changed is my desire to eat the whole pan of dessert. Healthy moderation keeps that sweet tooth in check. Well, and the fact that I don’t want to buy bigger pants ever again. So bring on more healthy dinners. I actually made these low carb meatballs a few months ago, but savory brown food is a whole lot harder to photograph than cute desserts. The taste was great, but the pictures were just not appetizing, so I have been holding off sharing them. We have been here in Florida for a little over a year now, and I’m still trying to learn the lighting in this house. You would think that a room with windows on both sides would provide enough light, but I still struggle getting it just right. I finally broke down and bought a new light. Ok, ok, actually my husband bought me the new light because he was tired of me complaining and crying while editing photos. True story. At first I didn’t want to try it because I hate learning new things, but I’m so excited that I did because it really does help the food look better. Seriously! Who knew brown food could look this awesome!!! You guys, I am so excited to share this easy low carb dinner with you now that the photos show how amazing it is. It’s seriously my new favorite meal! 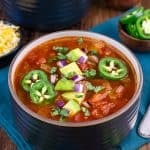 It’s also the perfect recipe for anyone on a keto diet. Or a gluten free diet. Mix together the ground chicken, diced onion, spices, and a little bit of parmesan cheese. Roll this mixture into 16 even balls. The mixture is a little sticky, so I found that using a cookie scoop was easier. Heat some olive oil in a large skillet and cook the meatballs for a few minutes on every side. They will be done in 8 minutes if you flip them around every 2 minutes. Remove them from the pan. Add more oil and sauté the mushrooms and red peppers in the hot pan for four minutes. Remove those from the pan too. Now to make a keto stroganoff sauce. Pour chicken broth into the skillet and stir it with a wooden spoon to deglaze the pan. Bring the broth to a slight boil, then lower the temperature slightly and simmer for four minutes. 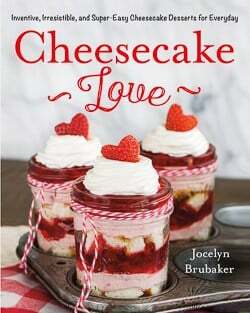 Add the cream cheese and continue stirring until it is melted and creamy. Stir in the veggies and meatball and simmer for yet another four minutes. 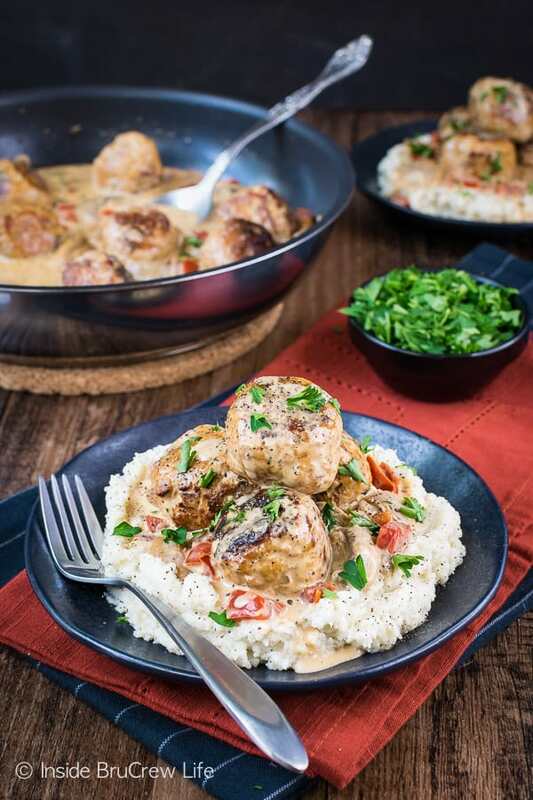 Remove the pan from the stove and serve these Low Carb Chicken Stroganoff Meatballs right away. 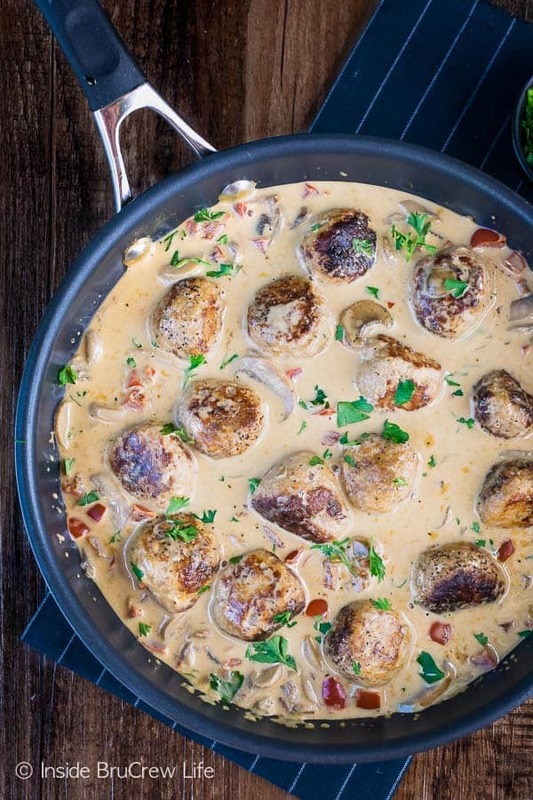 How do you serve chicken stroganoff meatballs? 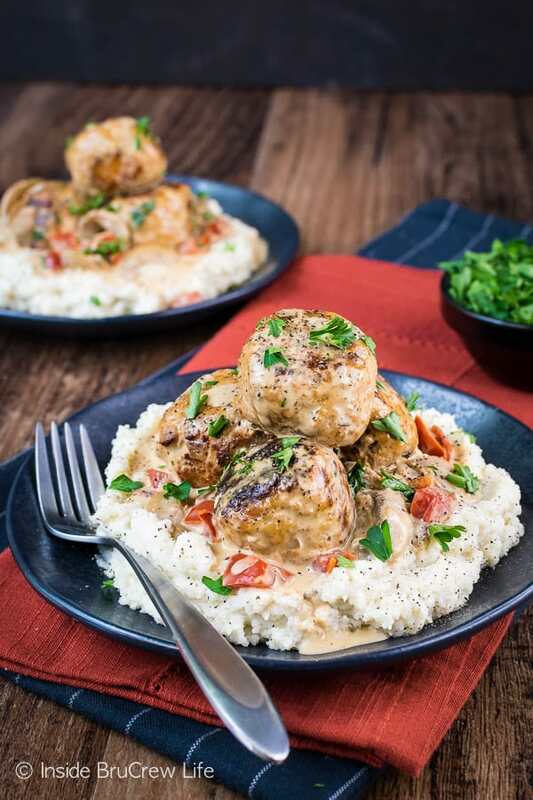 These meatballs are delicious served over this Easy Cauliflower Rice, but it’s even better over mashed cauliflower. The extra veggies from doing it either way make it a great lean and green meal. Cooked zucchini noodles or spaghetti squash would also be a healthy option. 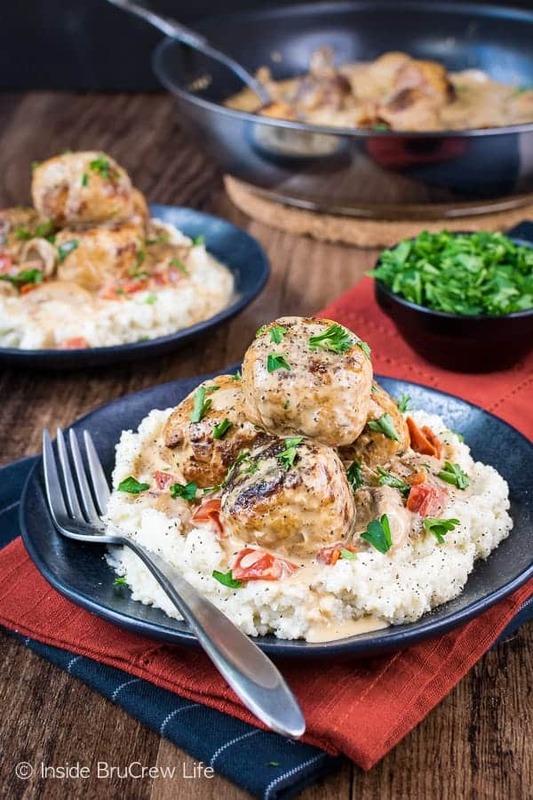 The meal also refrigerates and reheats really well, so you can divide the meatballs, sauce, and mashed cauliflower into individual servings for the week. 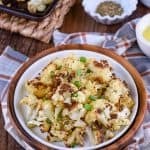 Looking for more lean and green or low carb recipes? 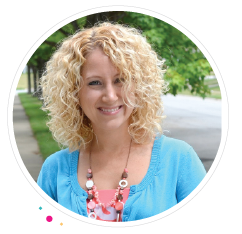 I created a fun Facebook group, and I would love for you to join. 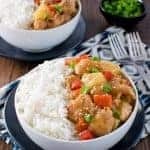 It’s a group where you can share your favorite recipes, ask questions, share photos, and see what’s new with the BruCrew. If you would like to check it out, you can request to join HERE. Mix together the ground chicken, parmesan cheese, diced onions, garlic powder, 1/4 teaspoon salt, and 1/4 teaspoon pepper. Scoop the mixture into 16 even balls. Roll them in your hands gently or use a medium sized cookie scoop. The mixture will be sticky. Place 1 Tablespoon oil in skillet and fry the meatballs roughly 8 minutes, turning them every 2 minutes. Remove the meatballs from the pan and set aside. Add the remaining oil in the skillet and saute the mushrooms and red peppers for 4 minutes. Remove the veggies from the pan and set aside. Pour the chicken broth into the skillet and bring it to a slight boil. Reduce the heat slightly and simmer the broth for 4 minutes. Add the cream cheese to the broth and stir until smooth. Stir in the sauteed veggies and meatballs and simmer an additional 3-4 minutes. Season to taste with salt and pepper. 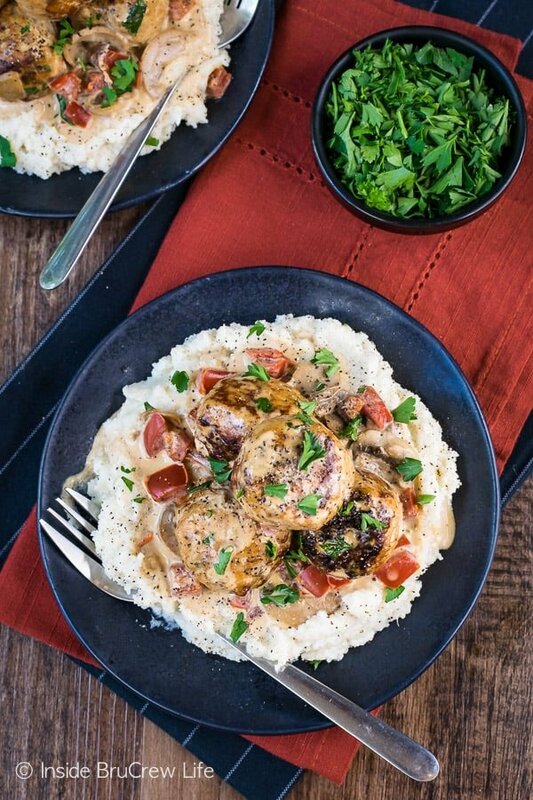 Serve the meatballs and gravy over mashed cauliflower. Garnish with parsley, if desired. 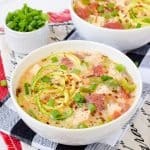 Bring on the low carb recipes! Thank you for this recipe~! 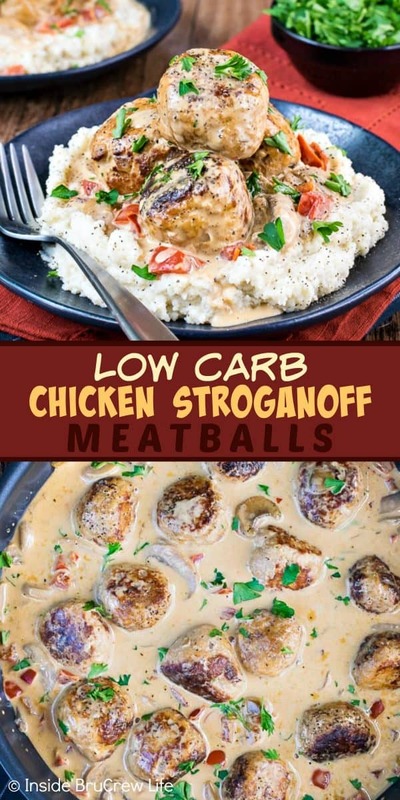 Can you please tell me the calories fat and carbs for the chicken stroganoff meatballs please. At the moment I do not have that info available on my recipes. There are quite a few online sites that provide the nutrition facts when you input the recipe. 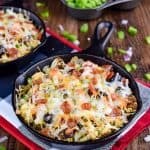 I’ve been making it basically this was for about 6 years now but no mushrooms or peppers and instead of cream cheese I use sour cream.. and I do ground turkey.. also I never remove the meat. I let the broth and sour cream simmer with the with the meatballs right after I brown the meatballs until the liquid gets thicker a bit 🙂 everyone I cook this meal for, it becomes their favorite.